Because of their low profile in the water, WWII german submarines could not see more than a few miles over the ocean. 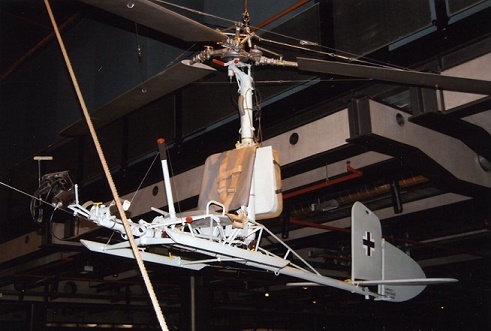 The simpliest solution was a single-seater autogyro kite with a three-bladed rotor that was towed by the submarine. Stored dismantled in two watertight compartments, it was quickly assembled and could raised an altitude of 120m that allowed him nearly 25 nautical miles of vision. It was only used on U-boats operating in the southern parts of the Atlantic or in the Indian ocean. 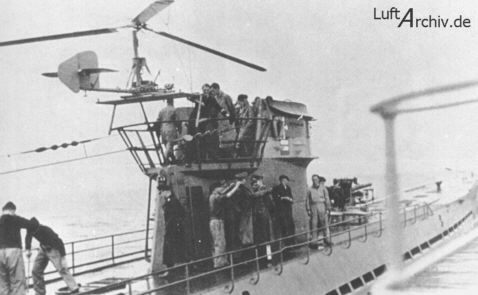 Nearly 200 were built and the first one captured was aboard the U-852 in may 1944. After the war, some were tested by the Allies but were discarted due to the helicopter development. B.A.P.A. examplar : Werk Nr 100010. Seems to be the oldest surviving and is the only ones in private hands. Restored except rotor blades in original conditions. At owner’s home.